Quebec is one of the vibrant multi-cultural provinces of Canada. There are numbers of things in the city which attracts innumerable immigrants every year. It is also regarded as the best place to find good food and amazing tourists attractions in Canada. Old Quebec City is one of the famous tourist attractions of Quebec City. 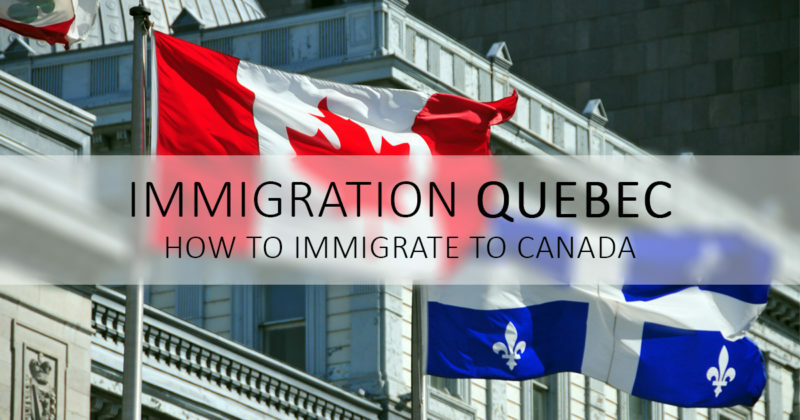 What is the Quebec skilled worker Program (QSWP)? Quebec has its own rules and regulation for immigration. Its selection criteria and eligibility are different from other provinces of Canada. The government of Quebec and the Federal government of Canada developed the Quebec skilled worker Program (QSWP). Through this program highly educated and trained foreign nationals are selected to immigrate to Quebec as skilled workers. So, any educated and trained candidate who wants to immigrate to Quebec can apply through this program. If a candidate is applying for Quebec skilled worker program, then his or her eligibility will be determined by nine selection factor. Each selection factor has its own maximum points. Based on these maximum points, a total score is awarded to a candidate applying for Quebec skilled worker program. If a candidate is unmarried, he will need to score at least 50 points in order to qualify for this program while an applicant with a spouse or common-law partner will need to score at least 59 points. Through Quebec skilled worker program (QSWP), various professionals live their dream of being a Canadian citizen. It facilitates the easy and quick pathway to immigrate to prime immigration province of Canada, Quebec. In addition to this, multiple benefits are there which exert on thousands of immigrants across the world. Quebec is one of the best known Canadian provinces, which offers an ideal culture and standard of lifestyle for raising your new generation. Besides good job opportunities, most of the immigrants get amused by its healthy society, which comes with a special pollution-free label. It’s fast processing time is a boon for immigrants. It never leaves a chance to impress those, who want to enter Canada as early as possible. Quebec government offers the same rights and benefits to all the PR visa holders like other Canadian citizens. It is easy to submit your application profile for Quebec skilled worker Program (QSWP), as you all need to follow the following steps one-by-one only. There is no benefit of investing your time in a program if you are not eligible for it. So it’s better to check the eligibility first before proceeding to any further step. As stated above, there are some selection factors which determine your eligibility so, go through them to better substantiate your immigration application. Fill online application form for QWSP and submit the form along with your documents to the concerned authorities. Remember, verification is a lengthy process so, be patient and stay updated. If the Quebec government selects your application profile, then they will issue you Certificat de sélection du Québec or selection certificate of Quebec (CSQ). It is an official approval letter for application profiles, which get selected against the standard selection criteria. Once you got CSQ, then it means your profile has been accepted, and you are allowed to immigrate to that province. Now, you need to apply separately to CIC for Canada PR visa. The CIC authority analyzes your profile and asks you for documents like health, security, proof of funds and more. So, you need to submit them within a decided time frame. Applicant takes more time to respond to the requests, made by the ministry for processing. If you feel that your skills match the eligibility criteria for QSWP, then you should apply for the same. Here is the latest updated list which will give you an idea on the estimated fee structure for QSWP. Like every other program, Governing authorities demand minimum funds from an applicant in QSWP to ensure that he/she is able to nurture him/her and his/her family after their immigration to Quebec. The following is the list for minimum funds required for QSWP. Document submission plays an important role in the approval of applications for QSWP as any lapse or error in submission results in the rejection or disqualification. It means you need to apply again with the fresh application form. So, go through the following points carefully so that your efforts, time and hard-earned money don’t go waste. An applicant needs to submit his/her voter ID, PAN card, Birth certificate or any other identity card for assessment of nationality or his/her legal status over there. He/she needs to submit working experience in the relevant job field. However, it is worth noting that he/she can submit experience of the past ten years only from the date of submission. He/she needs to submit his/her language proficiency test which should not be older than two years from the date of submission. He/she needs to submit the police clearance certificate which should not be older than six months from the date of submission and include a recent photograph of an applicant. Applicants having a job offer or, are living in Quebec: Here the applications are analyzed on the grounds of language proficiency, age, Canadian or USA working experience, adaptability and more. Applicants who are living outside Quebec: Here the deciding factors are age, language proficiency, education background, adaptability and Canadian working and training experience only. USA work experience is not accountable here. How countrywide visas help you to reach Quebec? Countrywide visas is a fastest growing Immigration consultancy with a large devoted team of Immigration experts providing, its clients a hassle-free, professional services to file their applications for various immigration programs. 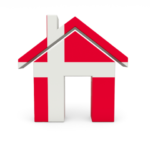 You are welcome to call us or send us an email with your immigration questions and inquiries. You may contact us on 011-41075840 / 011-41045840 or leave a mail at info@countrywidevisas.com.You may also fill theTechnical Assessment Form for free to get a call back from our Immigration Specialists. All you need to do is fill an assessment form and let our immigration experts assist you over the phone call or by meeting you in person and give you the best available options to fulfill your dreams of settling abroad.